Russia’s largest natural gas exporter could be fully relocated to St. Petersburg by 2015, as affiliates are already searching for office space and personnel. The company is currently based in Moscow. 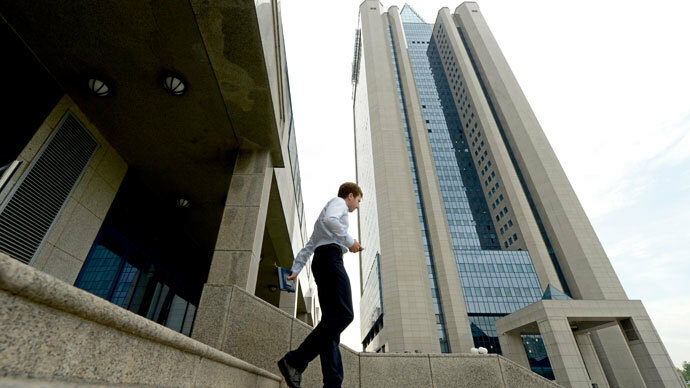 Several subsidiaries of state-owned Gazprom have already moved to St. Petersburg, and more are currently searching for property to rent until the giant new Lakhta Center headquarters is complete in 2018, Vedomosti reported, citing a source from the company. The move from Moscow to St. Petersburg means one of Russia’s most lucrative tax generators will now be paying into the Leningrad, and not Moscow region. In 2012, the company paid nearly $5 billion (160 billion rubles) in taxes to Moscow, according to Sergey Vakhrameev, an analyst at Ankor Invest, as quoted by Vedomosti. “Moscow will lose out on taxes,” Vakharmeev told Vedomosti. 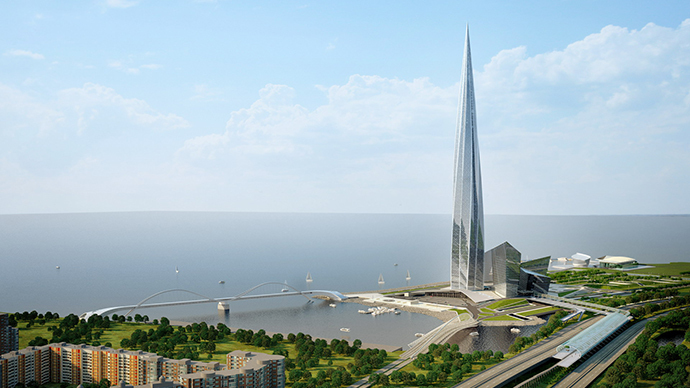 At first the 400 meter-high Lahkta skyscraper (which will be Europe’s tallest) was supposed to be located in the center of St. Petersburg, but activists were successful in getting it moved outside the city center, along the Gulf of Finland. When ground was broken on the project, remains of an ancient Swedish fortress were discovered, which delayed the construction. Gazprom has over 400,000 employees in total, but only Moscow-based personnel will be affected by the move to St. Petersburg. Most of the employees uprooted from Moscow to St. Petersburg most are expected to rent or buy living arrangements. They will receive relocation compensation packages, several Russian media sources have reported. As a state-owned company, Gazprom is being ordered to cut down annual spending by at least 10 percent annually over the next five years. It is in the middle the $45 billion South Stream gas pipeline project, when completed in 2018, it should provide 15 percent of Europe's natural gas needs. The money being spent on the project, the company’s largest to date, is roughly half of its $97 billion market capitalization. The company could cut costs if it manages to speed up the completion of its planned St. Petersburg headquarters. 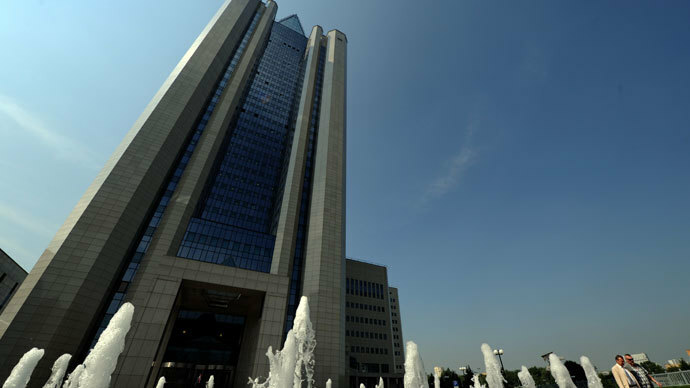 Gazprom's market capitalization of $97 billion is nearly a third of what it was in 2008. The last time the company was valued so cheaply was in July 2009, after the 2008 credit crunch.The company’s profitability is highly dependent on oil prices. In 2012, the gas giant was hit with a hefty tax on natural resource production, which only state-owned companies have to pay. 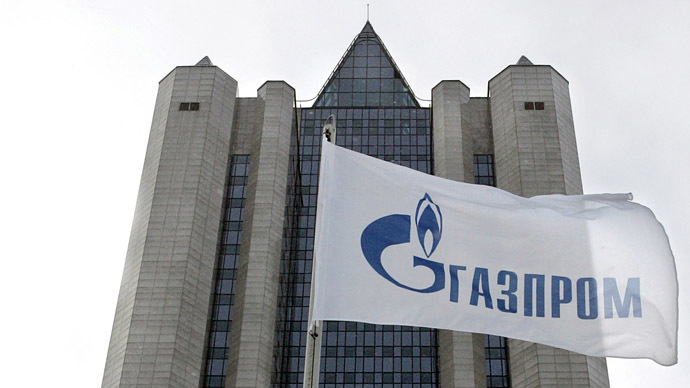 CEO Aleksey Miller took the reins of the company nearly six years ago, and he predicted by 2015-2016, Gazprom would become the world’s largest company with a market capitalization of $1 trillion.